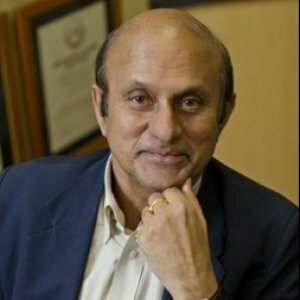 Vijay Mahajan is a professor of marketing and an influential writer and speaker on global consumer markets, with a special emphasis on consumer behavior and marketing strategies in the developing world. He has also researched on success factors for chief marketing officers, new product growth models, family-owned firms, corporate brand issues, and new product innovation. In a 2007 study, he was identified as one of the top 10 most influential scholars in innovation management. 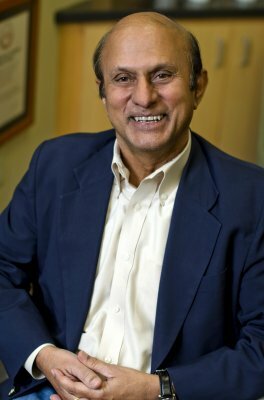 Mahajan is a professor of marketing and holds the John P. Harbin Centennial Chair in Business at the McCombs School of Business, The University of Texas at Austin. He has received numerous lifetime achievement awards including the American Marketing Association (AMA) Charles Coolidge Parlin Award for visionary leadership in scientific marketing. The AMA also instituted the Vijay Mahajan Award in 2000 for career contributions to marketing strategy. 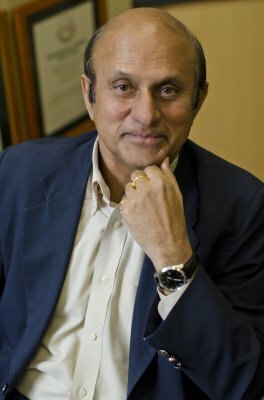 In 2006, he received the Distinguished Alumnus Award from the Indian Institute of Technology (Kanpur) for his contributions to management research. 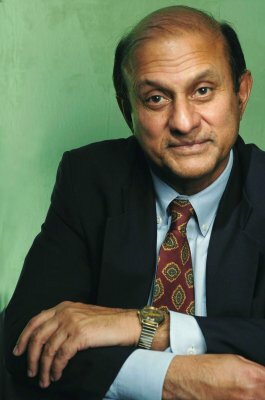 He also served as the dean of the Indian School of Business, Hyderabad, from 2002-2004, he has taught at the Wharton School, and serves as a research fellow with the IC2 Institute at UT Austin. Mahajan is the author or editor of twelve books including his recent 2012 book, The Arab World Unbound, translated into twelve languages. His book, The 86% Solution, received the Book-of-the-Year award (Berry-AMA) in 2007, and Convergence Marketing and Africa Rising were among the finalists for the same award in 2003 and 2010 respectively. He has been invited by more than 120 universities and research institutions worldwide for research presentations, has been a visiting professor at universities in Singapore, Hong Kong, India, and Italy. Mahajan has consulted with various Fortune 500 companies and has delivered executive development programs worldwide. Why are today’s B-schools so far behind the curve? The reason is simple. There are just not enough textbooks or published papers or ground-breaking research for faculty members to fall back upon. “The new mediums of study are newspapers, Google, and YouTube, because most of the students who join us are tech savvy. 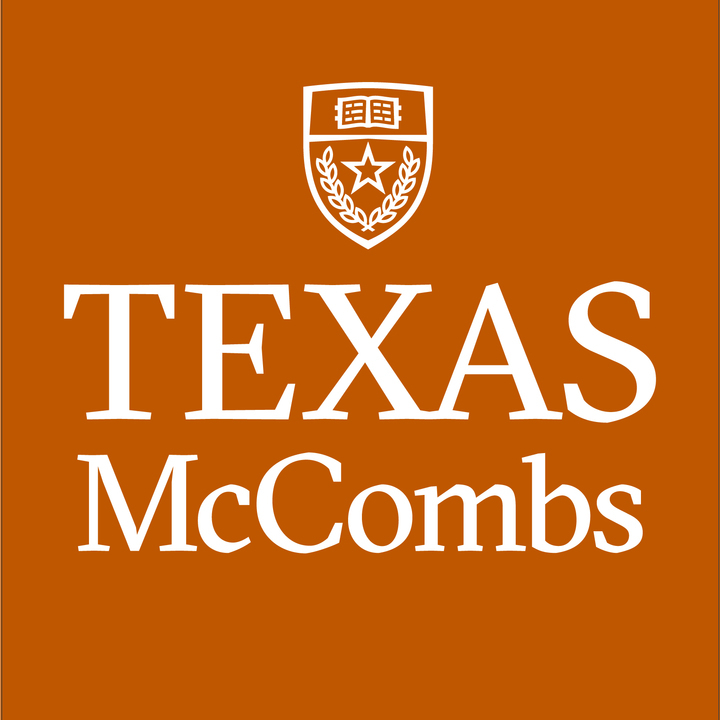 And we are using more and more software tools to teach our students,” says Vijay Mahajan, who holds the John P. Harbin Centennial Chair in Business at McCombs School of Business, University of Texas and was also a dean at ISB between 2002 and 2004. 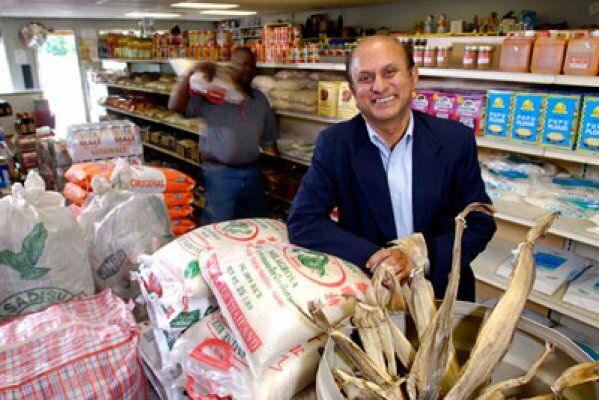 Through carefully documented growth studies of some principal developing countries, Mahajan, who holds the John P. Harbin Centennial Chair in Business at the McCombs School of Business, University of Texas at Austin, elaborates on contemporary economic processes that are leading to the steady material improvement of rural communities, who are transforming into effective consumers who help in the gradual uplift of national economies. Almost half the world’s population is non-urban. More than three billion people live in the sprawling rural regions of Asia, Africa and other developing countries. 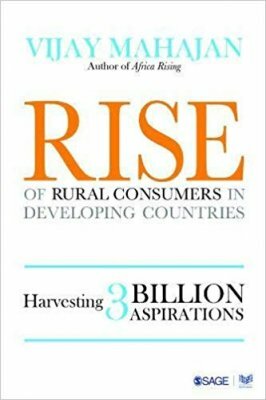 Companies and governments cannot afford to ignore these consumers if they want to be successful, writes Vijay Mahajan in his recent book, Rise of Rural Consumers in Developing Countries: Harvesting 3 Billion Aspirations. Vijay Mahajan, a UT marketing prof, was among the folks who came up with the Bodhi (bo-dee seems to be the Central Texas pronunciation) tree idea. Mahajan is scheduled to give a lecture at the Edinburg Campus about development, focusing on the Mideast and Africa. "It is better not to be in a situation where one has to apologize for an undelivered promise or commitment to consumers," says Mahajan. Family run businesses perform better during economic slowdowns, and one of the key reasons is a better balance of longer term vision and very pragmatic operations management. Family run companies didn’t hold back on new product launches during the recessions, they maintained the same level of ad spending and they kept their emphasis on corporate social responsibility. Some studies have shown that during periods of economic growth, family-managed companies in the US actually perform better than professionally managed businesses. In “The Arab World Unbound," author Mahajan argues that it is possible to tell a more optimistic story: that the Arab world’s new entrepreneurs are operating in a large and steadily blossoming market. Mahajan discusses the impact of the competitive micro-lending marketplace in India. 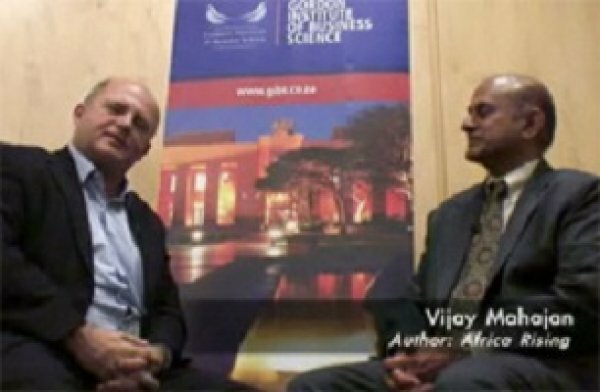 During African Economy week, the BBC's African Perspective spoke to Vijay Mahajan about the potential the continent offers for business and for profit. A glass of red wine. Bollywood brand ambassadors. Turkish soap operas. These may not be things you’d expect to find in the Middle East, but according to marketing professor Vijay Mahajan, the Arab world has a way of surprising visitors. Despite unsettling news headlines from the Middle East and North Africa, Mahajan traveled there to see how corporations and consumers actually operate in the region. “There must be something more going on in these countries other than all the negative news we get from the media,” he said during his talk, which was part of the Texas Enterprise Speaker Series. Over the past 40 years, scholars have demonstrated the effects of corporate social performance (CSP) on corporate financial performance (CFP), finding mixed results on the main effect of CSP on CFP. This study moves beyond the search for a universal main effect of CSP on CFP to examine factors that drive some firms to experience greater returns from their CSP efforts. This research examines the influence of chief executive officers’ (CEOs’) political ideologies—specifically, their degree of political liberalism (i.e., support for the Democratic Party relative to the Republican Party)—on firms’ innovation propensity (i.e., rate of new product introductions [NPIs]). The authors propose that CEOs’ degree of political liberalism positively affects their firms’ rate of NPIs. Investigating Chief Marketing Officer (CMO) tenure through a longitudinal study of the antecedents of CMO turnover, the authors find that CMO turnover increases if firms’ sales growth is poor, while profitability has a similar though smaller effect when a new CEO is appointed, highlighting marketing’s contextual role vis-à-vis performance metrics. In this study we examine how mixed bundling of products and its variants compare against reserved product pricing (RPP), a form of co-promotion. Our study of name change announcements by 180 publicly listed U.S. firms reveals that marketing-related factors play a critical role in the value of corporate name changes. This study explores whether family firms exhibit unique marketing behavior and whether their unique behavior in turn helps them outperform non-family firms during periods of economic contraction. This research investigates how the characteristics of the stakeholder landscape influence a firm’s corporate social performance breadth. This research develops a switching cost typology that identifies three types of consumer switching costs: 1) procedural, 2) financial, and 3) relational. We argue that inferring market responses using cross-sections of multi-market data also reflect unobserved actions by retailers.